Dark-Eyed Junco, Cap Tourmente National Wildlife Area, Quebec, Canada, 2011. Image courtesy of Wikimedia Commons. Dark-Eyed Junco, 2011. Dave Menkes, US Fish and Wildlife Service. Image courtesy of Wikimedia Commons. 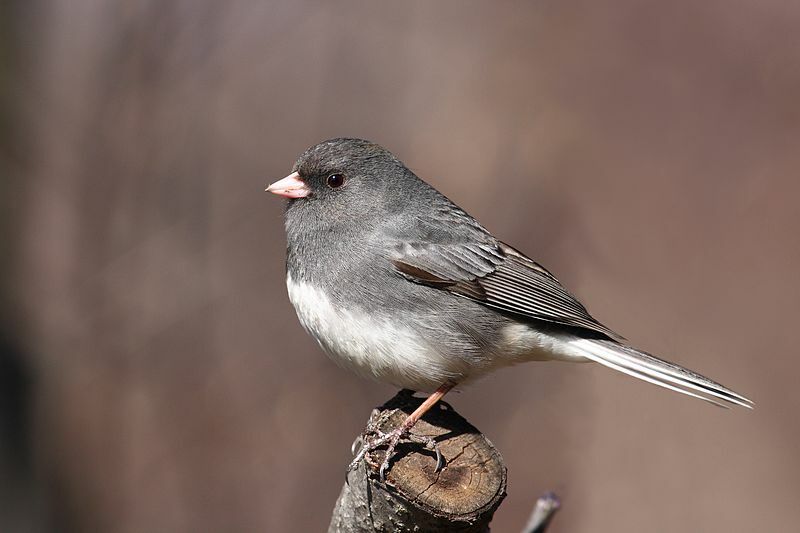 This sparrow-sized bird has a gray to dark gray head, back, and front down to about the middle of the breast; it almost looks as if it’s been dipped in ink. 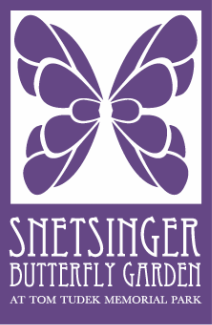 The bill is pinkish and a signature feature is white tail feathers that show when the bird flies up. The Dark-Eyed Junco hops on the ground seeking seeds. It eats more insects in summertime. It is a ground-nesting species. Food, cover, possibly nesting sites. Seeds and protected spots are plentiful at the SBG. 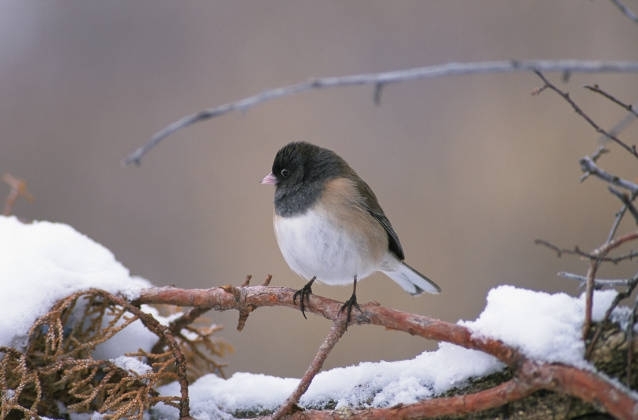 Range maps suggest that the junco resides in this region year-round, but eBird lists and other observations record a pattern of wintertime residence and summertime absence.